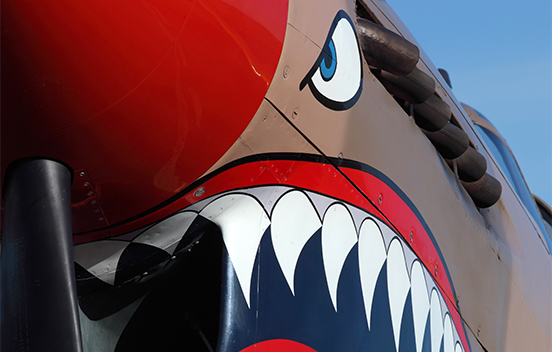 The P-40, developed from the P-36, was America’s foremost fighter in service when World War II began. P-40s engaged Japanese aircraft during the attack on Pearl Harbor and the invasion of the Philippines in December 1941. They also were flown in China early in 1942 by the famed Flying Tigers, and in North Africa in 1943 by the first AAF all-black unit, the 99th Fighter Squadron. The P-40 served in numerous combat areas: The Aleutian Islands, Italy, the Middle East, the Far East, the Southwest Pacific, and Russia. 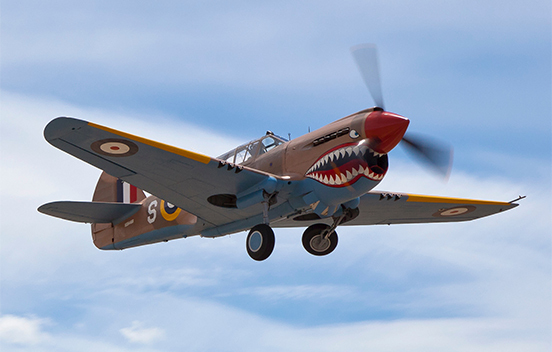 Though often outclassed by its adversaries in speed, maneuverability, and rate of climb, the P-40 earned a reputation in battle for extreme ruggedness. At the end of the P-40s brilliant career, more than 14,000 had been produced for service in the air forces of 28 nations, of which 2,320 were of the E series. 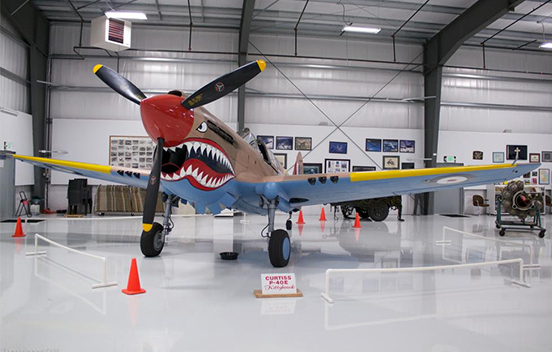 The museum’s P-40E was restored in the late 1960s and first flown in 1971. It has toured air shows all over the U.S. and in Europe. It has raced at the Reno Air Races and was used in the filming of several major motion pictures including Death Race, Pearl Harbor, and Valkyrie. 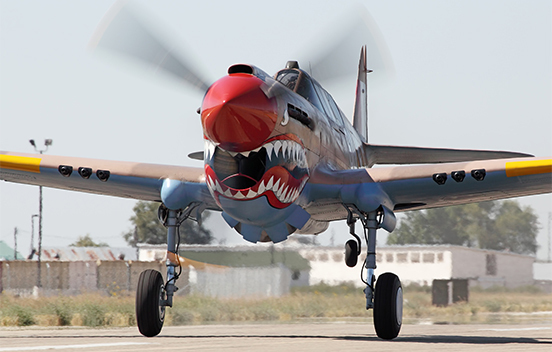 Painted in the markings of the RAF 112th “Shark Squadron” operated in North Africa.